Happy TT everybody! Today, we had to pick a polish from our favorite brand. I kind of set up this post with my post from yesterday, and I think I've mentioned it before, but China Glaze is absolutely my favorite brand. They have EVERYTHING. Really though. I'm pretty much in love with CG and I fangirl out all the time when looking at their new collections. 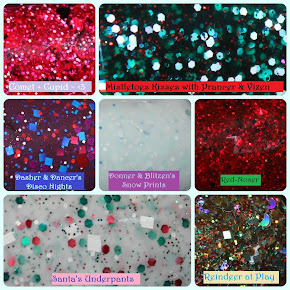 Honestly, I really think that they do the best job at having unique polishes when it seems like a lot of releases we're seeing are just more of the same. And the formula of their polishes are pretty consistently great. My favorite CG of all time has to be Emerald Sparkle: perfect shade of green plus it's jam packed with glitter heehee. But my absolute favorite shade of the summer has to be Surfin' for the Boys..
Just yes. 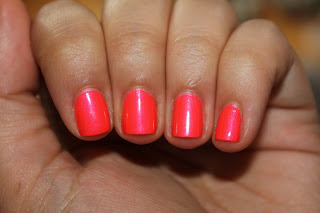 Brightbrightbright neon coral? Amazing. Hot pink shimmer? Even more amazing. The formula and wear time: the most amazing. I wore this the entire weekend working at my church's festival, and I was really hard on my hands. This wore with no chipping, just some tip wear like on the ring finger. And it was perfectly opaque in 2 coats, like Pink Plumeria. Which is just amazing for a neon. On top of all that, I really liked how this looked on me. In fact, I've had this polish on my toes for almost a week and half now and I plan on putting it on right after this pedi wears haha. It's my perfect summer color, and definitely one I need to take with me on my upcoming trip [more info on that later!]. I agree, China Glaze is my favorite too! 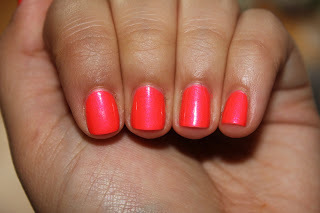 My all time favorite China Glaze has to be Fairy Dust, because it's so versatile! Yes, CG has so many great options! Love this Summer color! Oooh this one is pretty! I was not considering this but now I must! CG is pretty awesome. All the things you said plus a great price point and availability. Yay! This looks amazing! I might have to check this one out. I love China Glaze, it's probably my favorite as well. 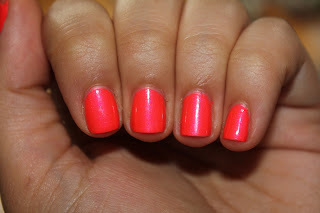 China Glaze is definitely one of my faves! Great color choice! I'm squeeing at how cool (or should I say hot?) this color is! Love, love, love! this is gorgeous! ChG cannot be beaten for price, quality and color selection. Own the most of them by far! This polish is amazeballs! It looks aaaaaamazing on you. This would make a killer pedi. Yay for CG! omg I love that neon!! It's beautiful on you! CG fangirls, represent! OPI is my fav but CG has been KILLING it this year with all their awesome collections! This is an amazing polish and that shimmer is inssaannnee! woo woo CG!! they come in 2nd for me but they are pretty fabulous. 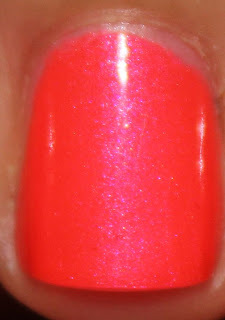 this is a great polish for summer!!! nice choice!!! Beautiful!!! I love CG Too! Excellent choice! This is gorgeous!